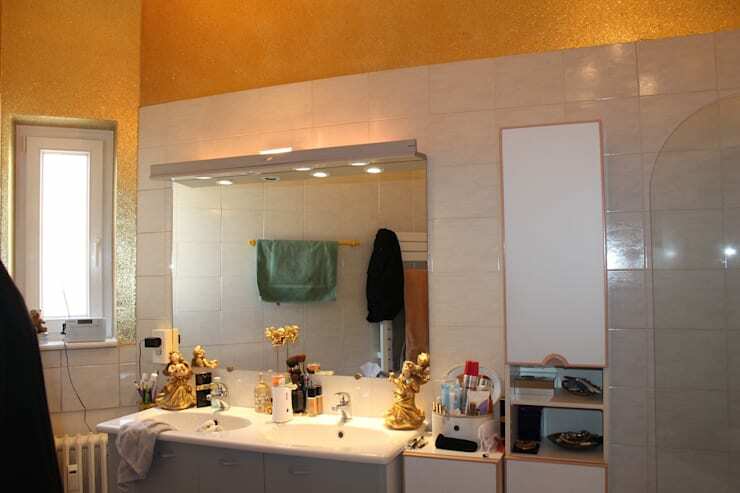 The old bathroom was filled with horribly outdated tiles, as well as furniture and fittings that were not only unfashionable, but also in a deteriorating condition. 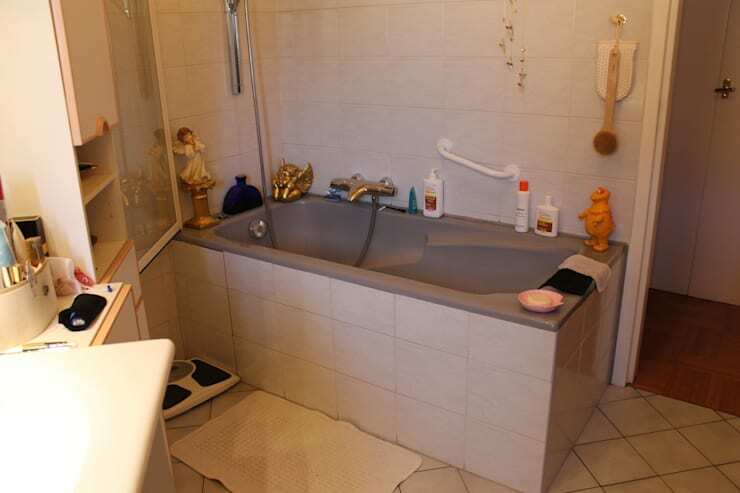 In addition to this, there was a bathtub that occupied far too much room to be practical in such a small space! The bathroom's previous décor was a terrible jumbled mess. The only good thing in the room was the large mirror, which enhanced the sense of space. Apart from this, the unappealing colour scheme and messy collection of items made a makeover urgently necessary. What a gorgeous transformation! 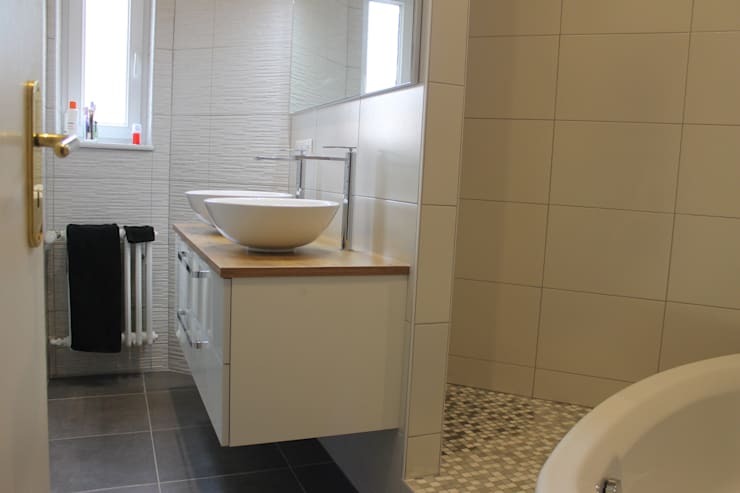 Gone are the unfashionable tiles and walls, replaced instead by a sleek grey floor and textured white walls. The area to the right is now sophisticated, with elegant washbasins atop a wooden countertop, all teamed with modern fittings and sparkling lights above the large mirror. The clutter is gone and the area looks refined and comfortable. 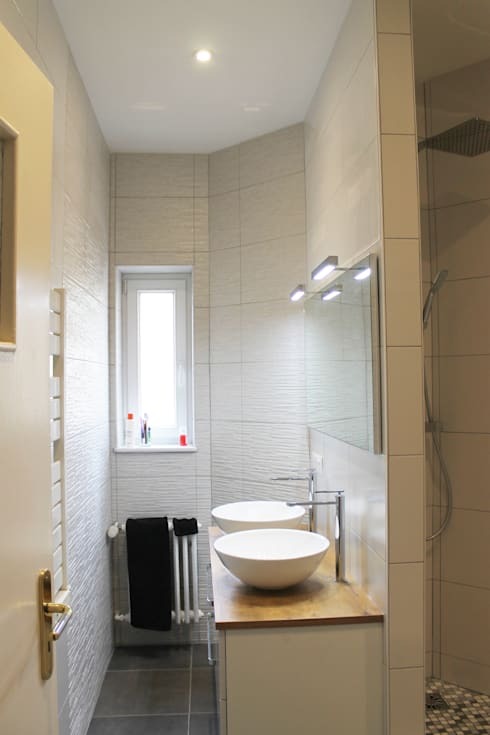 The clunky bathtub has been replaced by a shower cubicle, making the bathroom much more spacious and attractive. We love the charming mosaic floor of the shower cubicle, and the way they harmonise so well with the white and neutral tones of the bathroom. What an excellent replacement for the bathtub! The large showerhead looks extremely stylish and has a rain faucet, boosting the comfort levels of the bathroom tenfold and promising an invigorating experience. 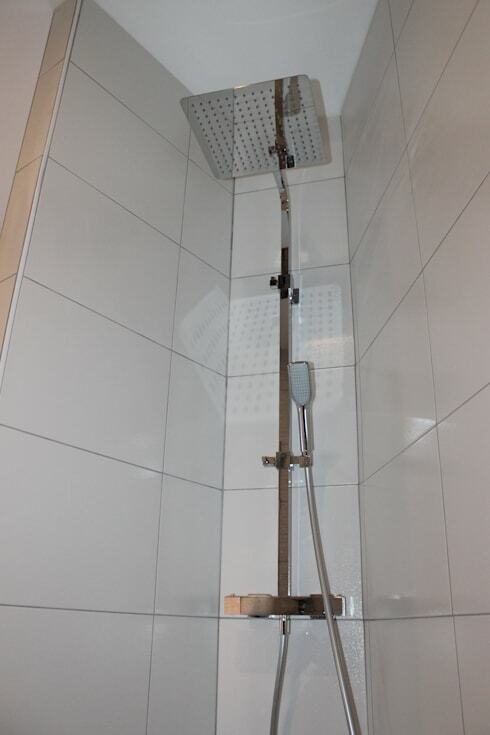 A shower cubicle is also much more convenient for the elderly, who may find it somewhat problematic to climb in and out of a bathtub. The design team at ADI-HOME have proven that even a bathroom measuring just 6m² can be converted into an elegant and comfortable space, inspiring us with lots of creative ideas for our own bathrooms! Has this tiny bathroom makeover impressed you?